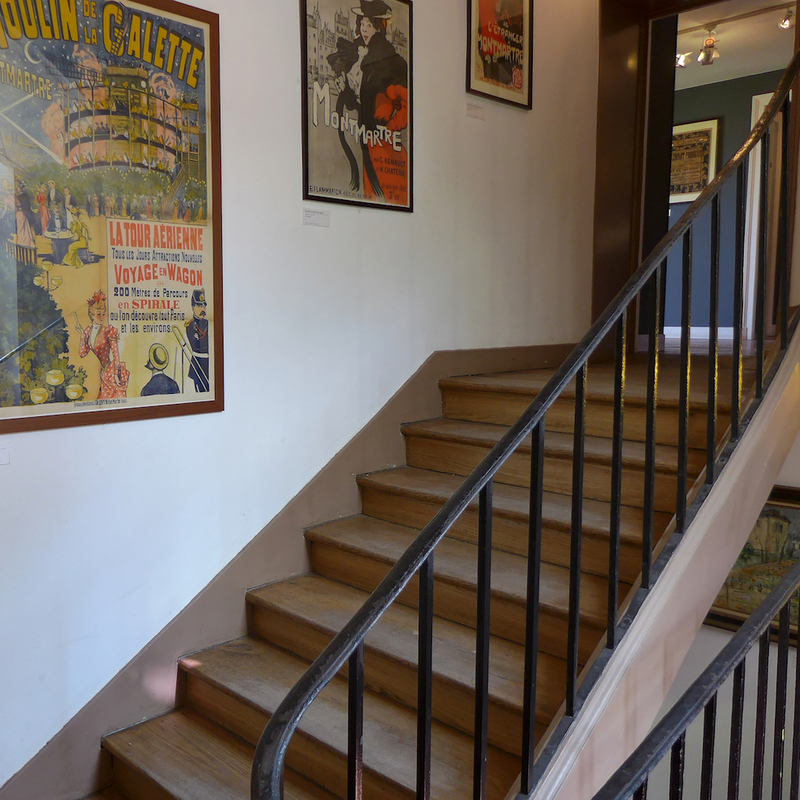 The Musée de Montmartre: A True Multi-faceted Gem! The Musée de Montmartre is one of my favourite museums in Paris and is really worth visiting for so many reasons. 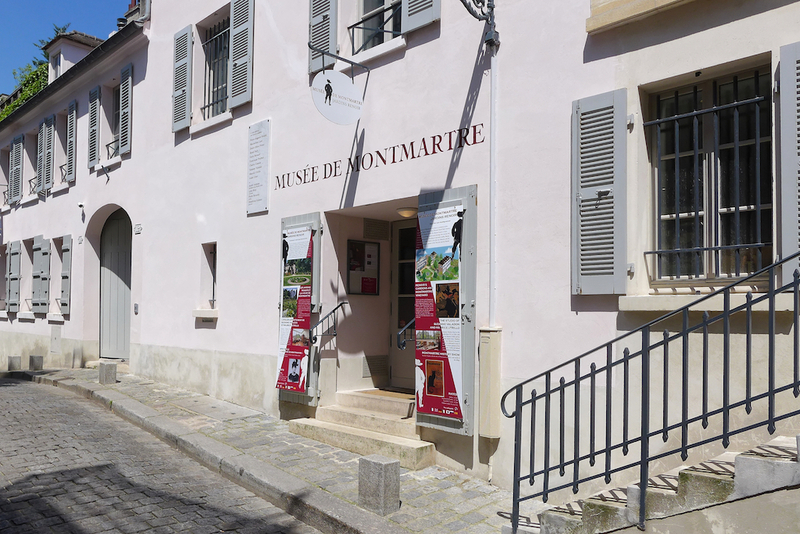 First of all the museum is located on top of the Butte in a peaceful cobbled street so typical of Montmartre, the ‘rue Cortot’. And although Montmartre may be the most touristic area of Paris this street and the museum itself remain rather off the beaten track and not too crowdy. 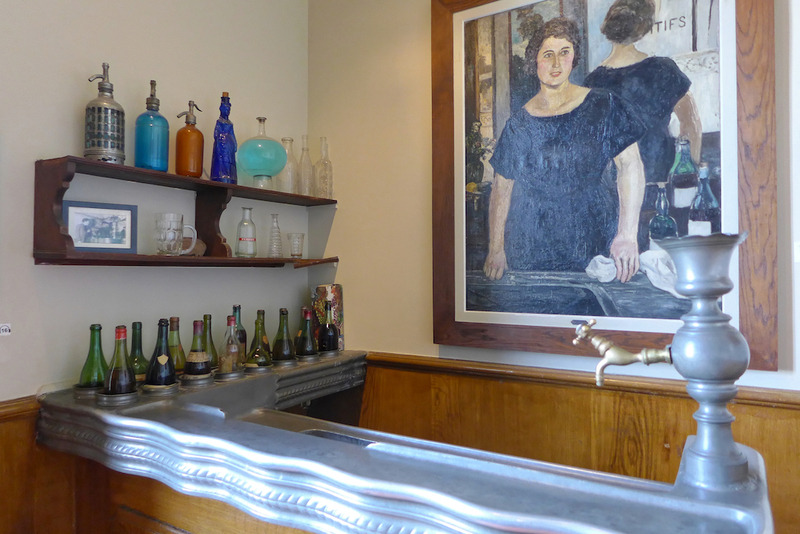 Secondly the permanent collections are exhibited in a beautiful house which is the oldest house in Montmartre. It was built in the middle of the 17th century and fully renovated in 1959. It is a four-storey building offering a succession of charming rooms with apparent oak beams and terracotta floor tiles and vista of the gardens from every window. 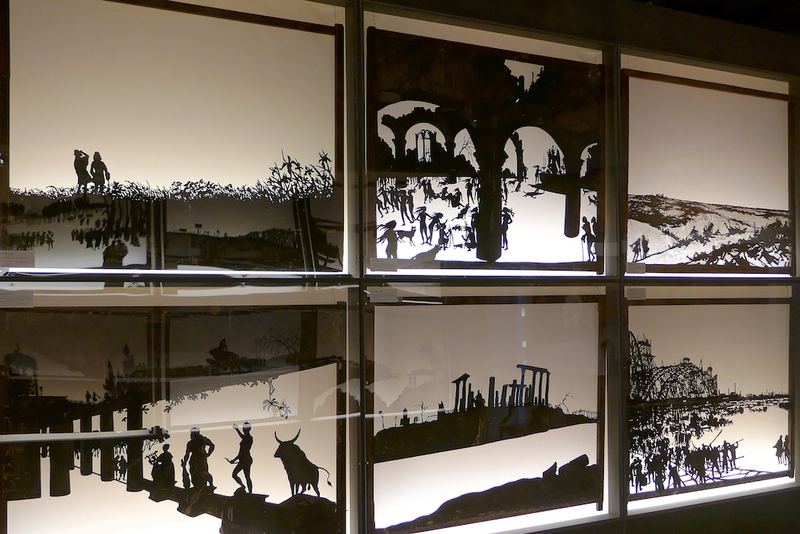 The works exhibited tell the history of Montmartre. One can see paintings of landscapes of the Butte in the 19th century, covered with gardens, vineyard and windmills; or souvenirs of the cabarets whose history cannot be separated from the one of Montmartre: Le Chat Noir, Le Lapin Agile or Le Moulin Rouge. 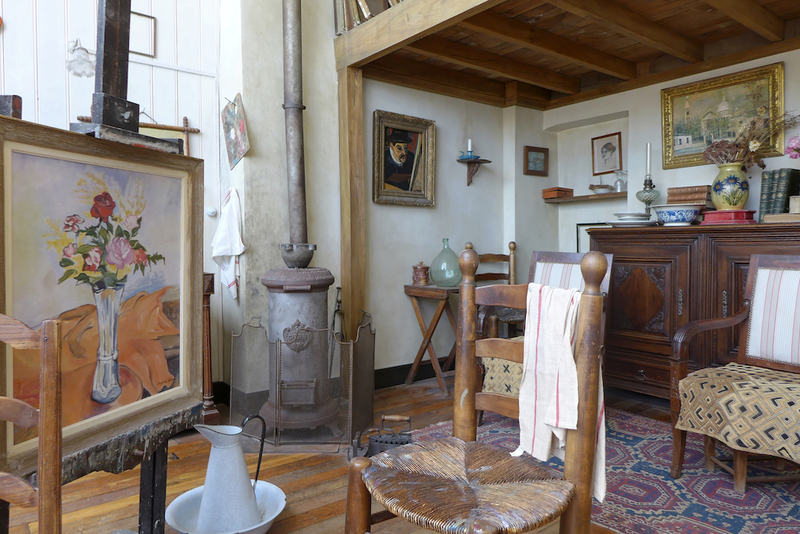 Thirdly the Musée de Montmartre houses the studio of Suzanne Valadon and her son Maurice Utrillo, which is absolutely amazing. 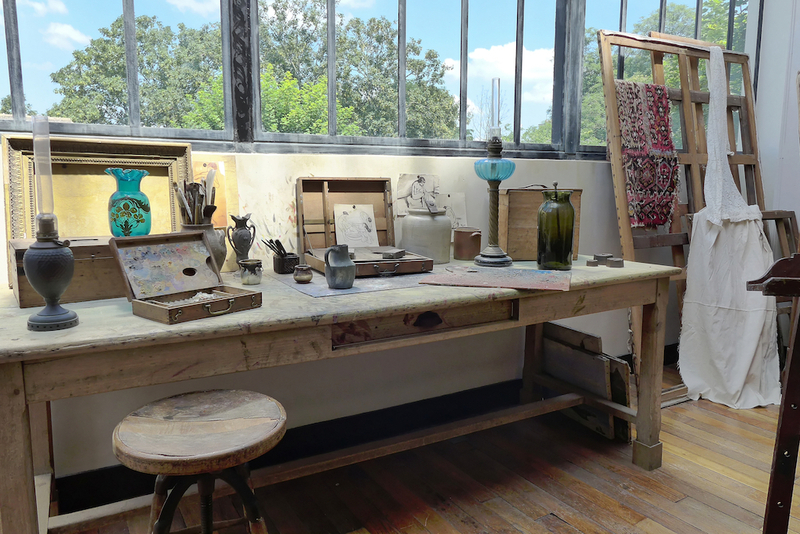 A perfect replica of the artists’ workshop has been built in its genuine exceptional location on top of the second building of the museum. It offers a terrific view on the roof of the old house, on the gardens and on Paris in the background. 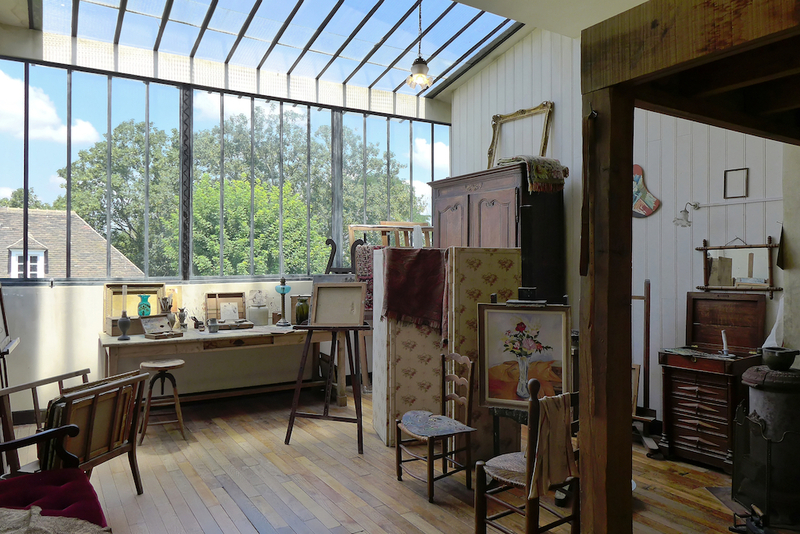 The studio is bright and peaceful, with a unique and authentic atmosphere thanks to all the period furniture and objets exhibited -including a genuine Almanach des Postes of 1925-. None of them belonged to the artists but the reconstruction is faithful and striking. 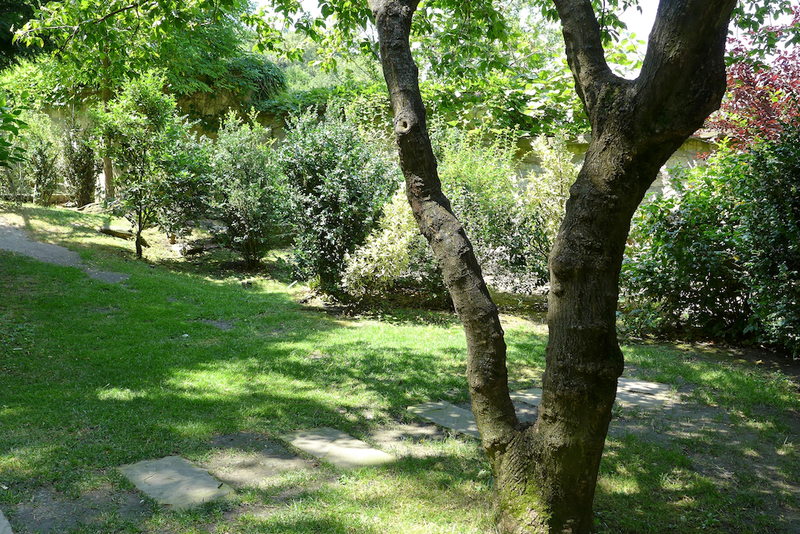 And last but not least the garden of the museum is idyllic and charming. I should say ‘the gardens’ as they are multiple, each of them offering a very special and different atmosphere. 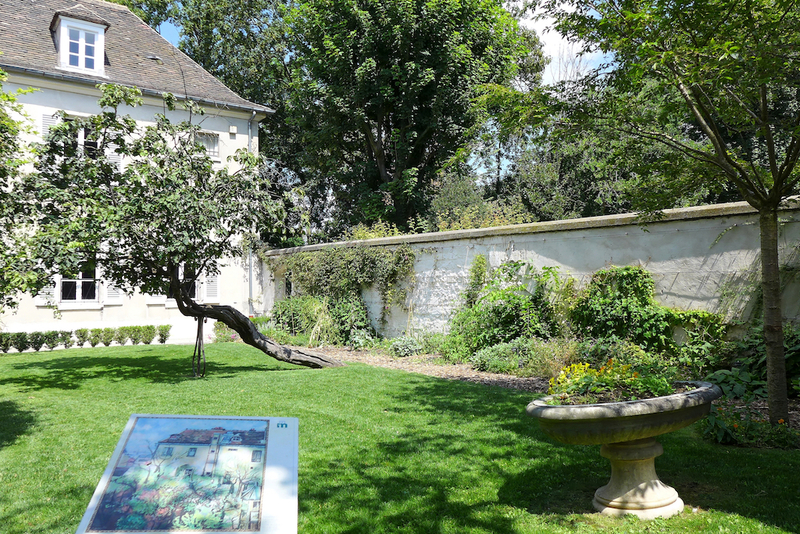 They are named ‘The Renoir Gardens‘ as the impressionist artist used to live and paint there. They are romantic, peaceful and clear in front of the Studio of Suzanne Valadon. There one can enjoy a drink in an atmosphere evoking the impressionists’ period: a pond with water lilies; table, chairs and sunshade of the ‘Café Renoir’; and even a swing hanged up in the precise spot where Auguste Renoir painted his masterpiece: La balançoire, in 1876. 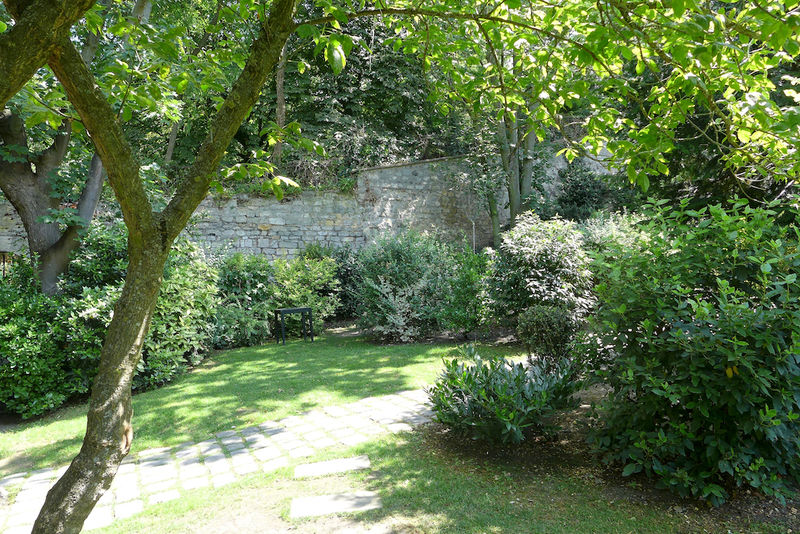 At the back of the museum the gardens are much wilder and the atmosphere totally different. One gets lost into the groves walking down a path through flowers and trees; one can sit down on a stump and enjoy dreaming or reading. Further on the right one notices a couple of hives hidden in the old wood of ‘8 rue Cortot’ which is today an ecological reserve of the City of Paris planted with trees and where only cats have access. 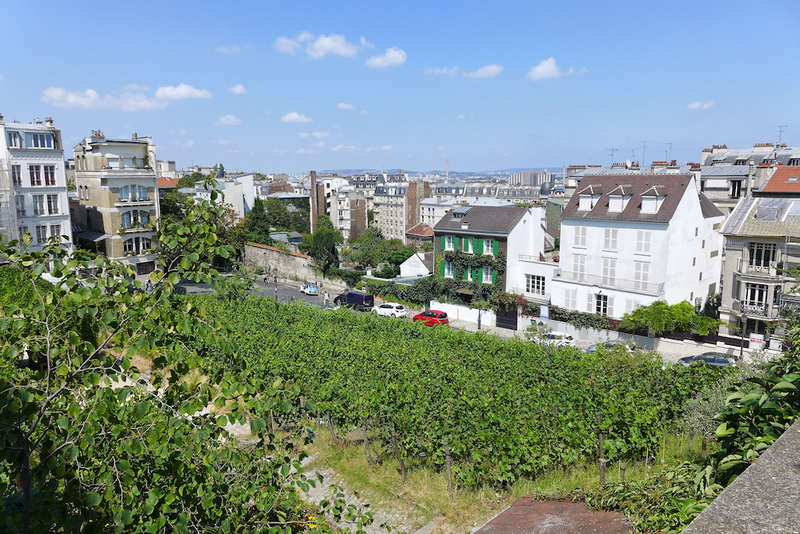 The path comes out onto the vineyard of Montmartre: 1762 vines of 27 grape varieties, mainly Gamay, have been planted and allow to produce a light red wine, the ‘Clos Montmartre’. The view onto the vineyard and the small houses below including the cabaret ‘Le Lapin Agile’ is amazing. It reminds the old Montmartre and offers a striking contrast with the recent buildings of northern Paris in the background. One stay there and contemplates past and present, countryside and urbanization. 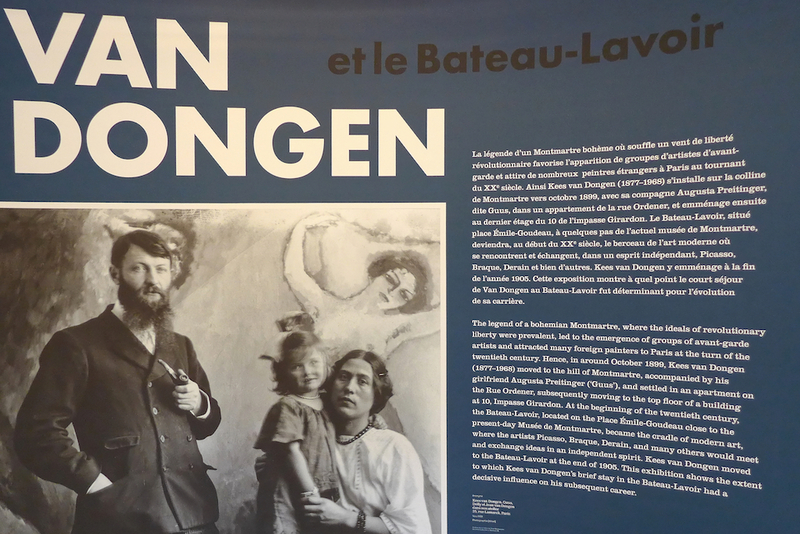 If need be here are two more reasons to go and visit the Musée de Montmartre this summer. Firstly a superb exhibition dedicated to the Dutch painter Kees Van Dongen is taking place there until 26 August 2018. It is focused on the years that the artist spent in the Bateau-Lavoir in Montmartre from 1905. Beautiful paintings coming from various museums of the world and from private collections are exhibited: A unique opportunity to see them in a very successful presentation. Among my favourites: ‘Fernande Olivier’ (the portrait on the exhibition’s poster); ‘Deux Yeux’; and in the last room, ‘Femme allongée’ and ‘La promeneuse’. 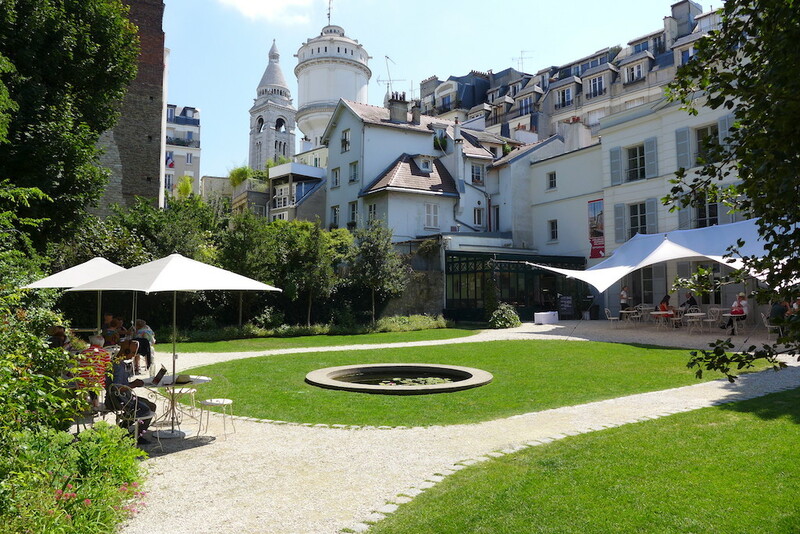 Finally the Musée de Montmartre offers late-night opening until 10pm every Thursday in July and August. One can then enjoy an even more romantic atmosphere and especially admire the beautiful light of sunset in the gardens and on the vineyard, the surroundings streets and houses and the northern part of Paris. And one can choose between the usual visit at usual price (12€) or buy a special entrance ticket including the degustation of a glass of champagne in the gardens (extra cost of 4€). Nothing could be more romantic! I went to the Musée de Montmartre during the day last week and although Paris is busy with tourists at that time of the year it was a heaven of tranquillity. 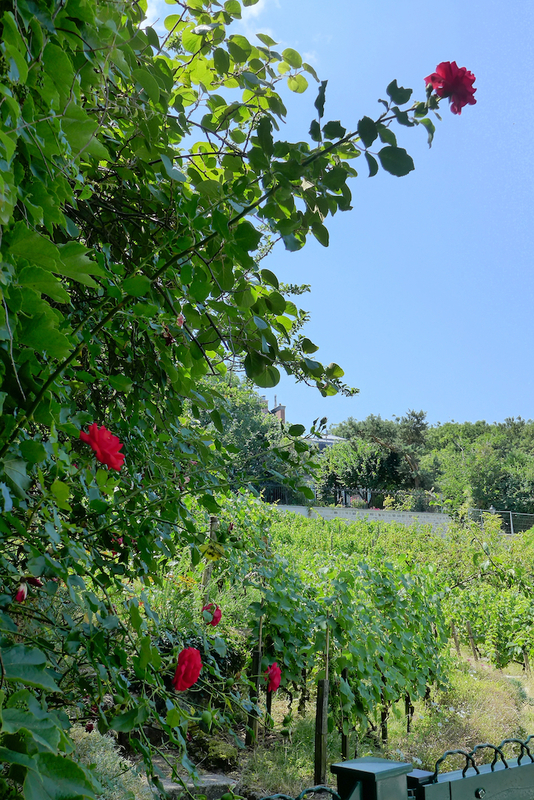 I spent two hours there, visiting the museum, the apartment and studio of Suzanne Valadon and Maurice Utrillo, the beautiful exhibition Van Dongen and also strolling in the multiple nooks of the gardens. In such a magical atmosphere I lost track of time: A true delight! Les images sont magnifiques, comme toujours. 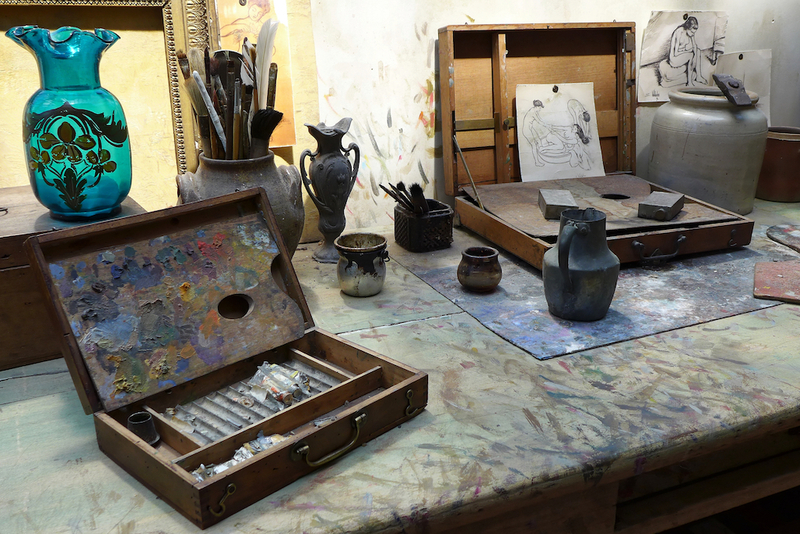 Previous Previous post: L’Institut Giacometti in Paris: New and So Intimate!